Fosun International is floating the renowned resorts once backed by Edmond de Rothschild. Similar travel stocks imply the Club Med division should be worth about $1.7 bln. Early reports, though, peg a valuation of up to $2.8 bln, suggesting a sunny pitch about Chinese tourists. 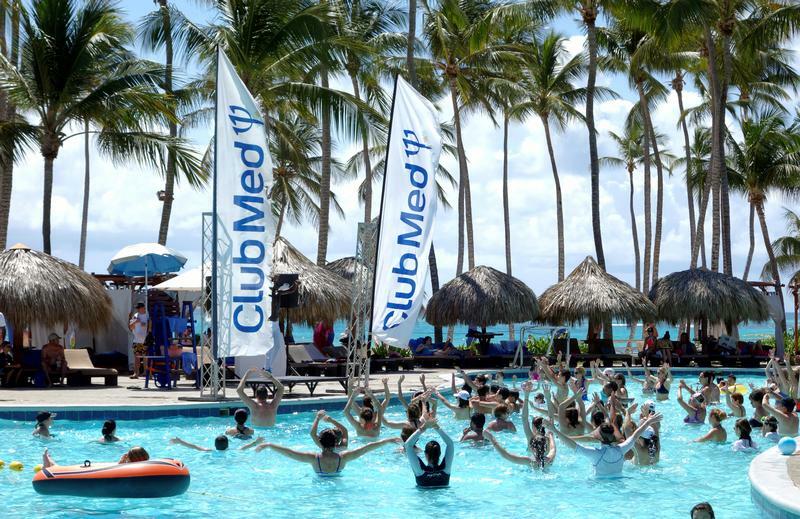 FILE PHOTO: Club Med banners blow in the wind beside the swimming pool at the Club Med Punta Cana vacation resort in the Dominican Republic, March 3, 2016. Fosun International on Sept. 3 submitted a draft prospectus detailing plans to spin off Fosun Tourism Group, which includes Club Med resorts, the Atlantis Sanya resort in Hainan and a joint venture with Thomas Cook. The company aims to raise between $500 million and $700 million in the flotation, unnamed sources told Reuters. The company bought Club Med in March 2015 for 939 million euros ($1.1 billion) after a two-year bidding battle. Fosun said funds raised from the listing will be used to expand its existing business, fund potential acquisitions and repay debt. Fosun Tourism lost 135 million yuan in the first half of 2018, less than the 189 million yuan it did in the same period a year earlier. JPMorgan, CLSA and Citigroup are joint sponsors of the listing.